Domestic Violence: National Domestic Violence Hotline 800-799-7233 or the Ohio Domestic Violence Network 800-934-9840 or visit the ODVN County Directory of shelters and programs.. 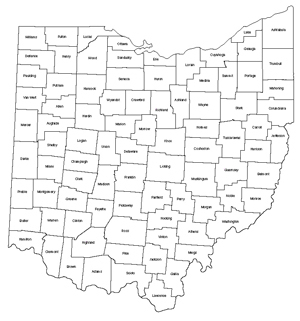 NOTE: State law requires every county in Ohio to have a dog warden, but their scope is often limited only to dog issues, and not all of them have animal abuse investigation powers; if they do enforce cruelty laws it may only be for dogs. Some can enforce cruelty statutes if they are also deputy sheriffs. County humane societies may have humane agents who investigate cruelty affecting other species. County humane agent appointments are on file with the Probate Judge in each of the 88 counties, but the list may be outdated. In the absence of a readily identifiable humane agent or dog warden with cruelty enforcement powers, local police or the county sheriff are required by law to investigate.